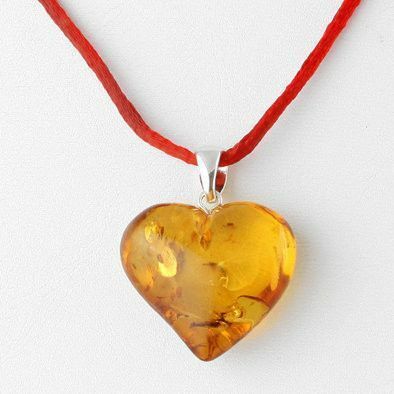 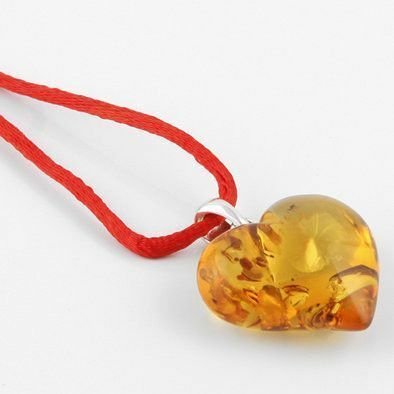 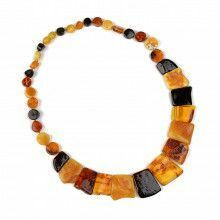 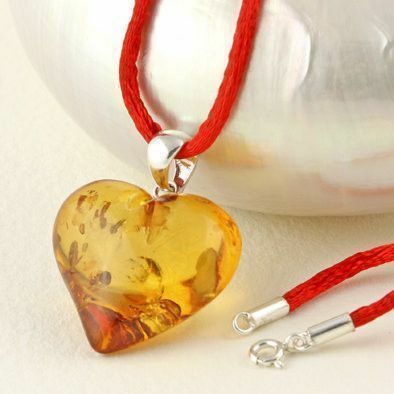 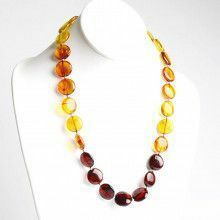 A large honey Amber heart with beautiful, light-catching natural inclusions hangs from a simple .925 Sterling Silver bail on a red silk cord. 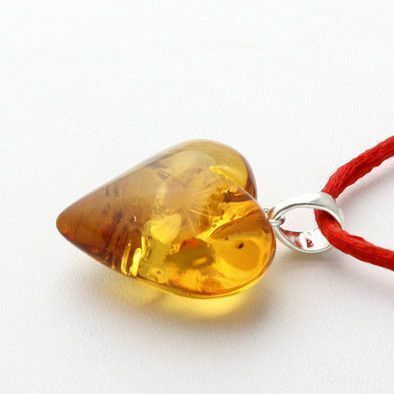 Cord has spring ring clasp. 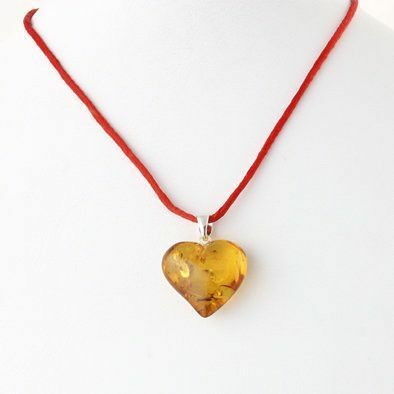 Pendant Measures 1 9/16" x 1 1/4"
Heart measures 1 1/4" x 1 1/4"